On my first trip to Parker River National Wildlife Refuge after moving to Massachusetts a few years ago, I encountered a huge flock of shorebirds along the beach at Lot #6. Since that time, I've walked the boardwalk out to the beach a number of times without much success. The Lot #7 beach is my regular sandpiper hotspot, but last weekend it was quiet. 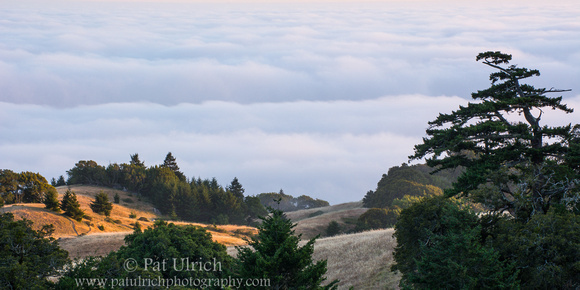 As the light was turning for the best, I decided to take a chance and head for Lot #6. My gamble really paid off -- a flock of 40 or so sanderlings were hanging out right at the end of the boardwalk, and they stayed with me until it was too dark to keep shooting. 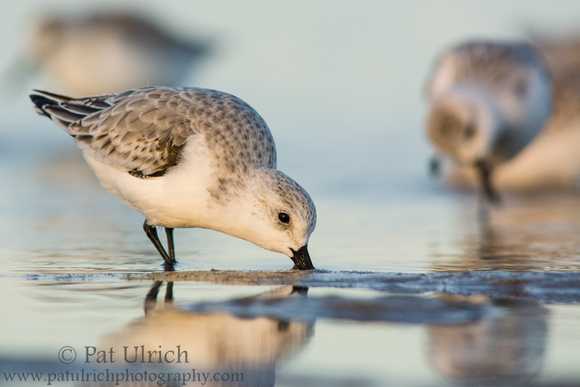 View more photographs of sanderlings. It was mostly sanderlings feeding in front of the receding tide on my last trip to Parker River National Wildlife Refuge, but this lone dunlin looked stately among the smaller sandpipers. View more of my dunlin photography. On the last weekend in September I finally made it out to the coast for a fall trip to look for shorebirds. The Sandy Point State Reservation and Lot 7 area of Parker River National Wildlife Refuge did not disappoint, as there were plenty of sandpipers around. I spent the early evening with a group of resting peeps in the dunes, then got thoroughly soaked while working with a flock of sandpipers in the exposed flats of the ebbing tide. Pleasantly, the temperatures were unseasonably warm, so it was actually quite refreshing to be soaked to the bone in the wet sand. Regardless, it's always worth a wet drive home when you have a chance to share space with some friendly shorebirds! 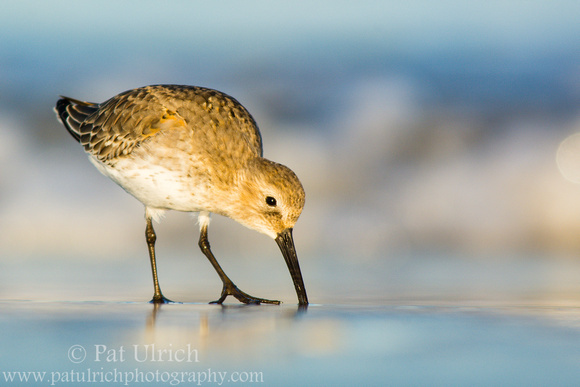 View more of my sanderling photography. Another image from my late spring shorebirding trips to Plymouth Beach. 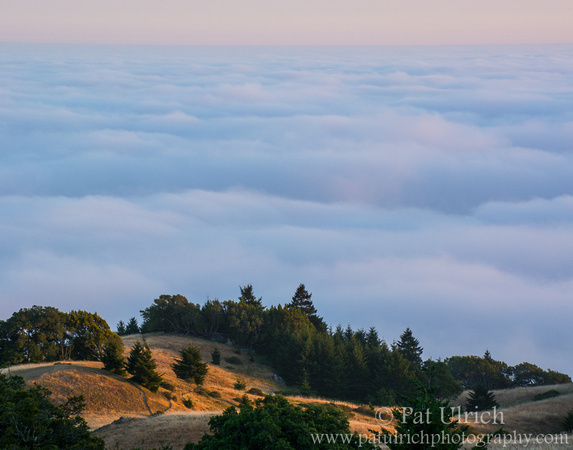 I really need to get back there soon! 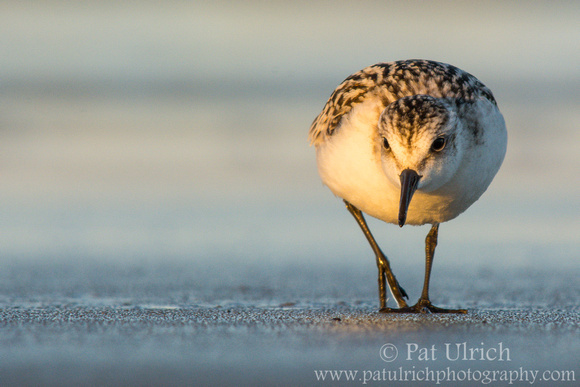 View more of my sanderling photographs.